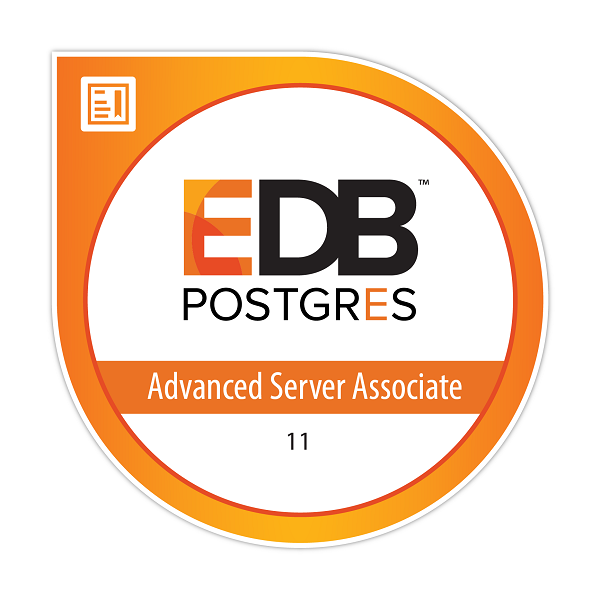 Earners of the Associate badge for Postgres Advanced Server 11 have demonstrated knowledge and capabilities in leveraging open source based database technology for enterprise environments. Earners have skills with architecture, creating and managing databases and clusters, configuration, tablespaces, user and security configuration, disaster recovery strategies, and using enterprise administration tools. They have aptitude for operation and proactive maintenance of large-scale database systems. Complete the Postgres Administration Essentials eLearning course from EDB (now offered for free) OR EDB Postgres Advanced Server Database Administration Essentials course offered by EDB (instructor-led training).